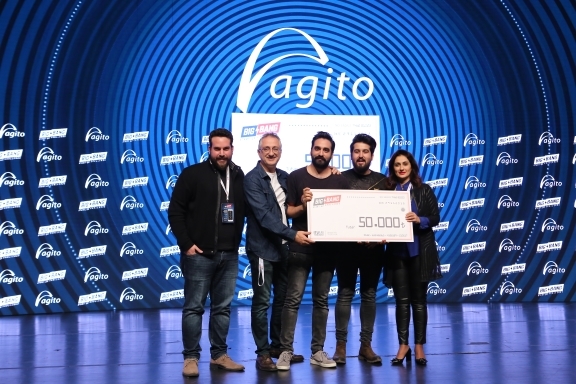 Big Bang | Startup Challenge, which was organized by İTÜ Çekirdek, entrepreneurship incubation centre of İTÜ ARI Teknokent, Technology Development Region of İTÜ and is among the first three entrepreneurship contests that provide biggest funding for the entrepreneurs in the world, was organized in UNIQ Istanbul on 29th November 2018. ITU Çekirdek brings investors and entrepreneurs together regularly and makes the entrepreneurs the focal point of funds. The entrepreneurs had the opportunity to present their projects in the Big Bang which is the ‘focus’ of the entrepreneurial ecosystem, organized for the seventh time this year. Agito Project Development and Implementation Management Director Gülşah Sezek explained prize decisions for KOBAKÜS All-in-One Account Management Platform and said: We are proud to be a part of this magnificent organization for 7 years. Agito is a technology company that produces software solutions to the insurance industry. 21 years ago, the company established by a group of entrepreneurs. Today, with over 200 employees, it has become a company which is serving the giants of the Turkish insurance sector. As long as the ITU Çekirdek in existence, we will continue to support entrepreneurship all times. As Agito, our prize is 50.000 TL goes to Kobaküs. Founded in 1997 and located in Istanbul, Agito leading provider of insurance industry-specific software solutions and services in Turkey. © 2019 Agito. All the rights reserved.